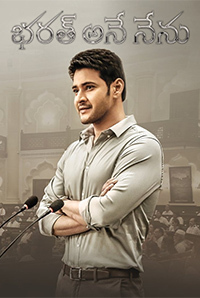 Bharath(Mahesh Babu), who graduates in the UK hears about the sudden death of his father(Sarath Kumar) who is the chief minister of the state. Leaving things behind, he rushes back to India. Upon his arrival, he is forced by his uncle(Prakash Raj) to fill his father’s shoes as the chief minister of the state. Bharath takes up this deadly challenge only to find out several loopholes in the system. Rest of the story is as to how Bharath operates in his own style as a CM and brings a good change in the society.